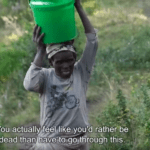 Usifu launched a project to improve access to clean water in Sierra Leone and specifically for the people in Kambia, the village where he found his mother after tracing the process of his adoption. He has been holding discussions with residents to find out more about pressing needs of the community. “I decided to come back to my home country to see my family after fourteen years as well as to bring any kind of humanitarian relief that I can, specifically to the use of hippo rollers,” he said. Usifu gets the hippo rollers from South Africa and has rallied donors to help fund his initiative. 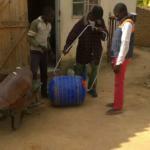 His Bangura Project has also introduced water filters to produce clean water with the hippo rollers. 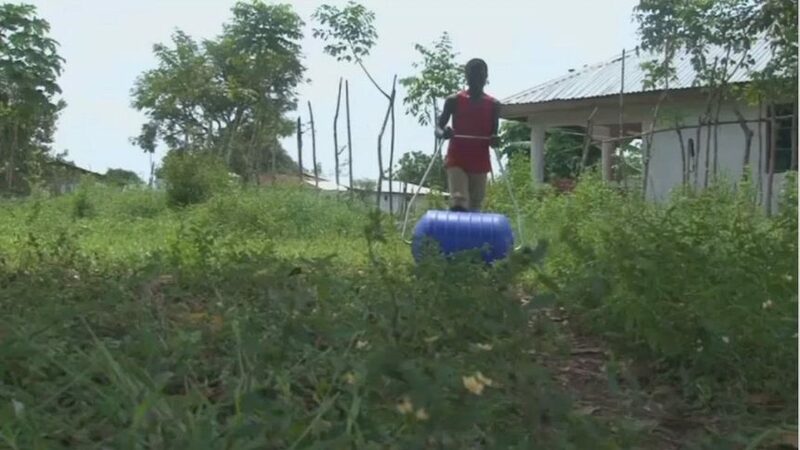 “ It reduces child labor and that is very very great… our children… enjoy this roller,” said Kambia resident, Chernor A. Mansaray. 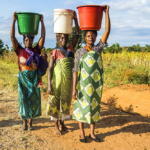 Donate here to help the Bangura Project improve access to clean water in Sierra Leone.